Russian military communications satellite. This was a modernized Molniya-1 communications satellite with the 'Beta' retransmitter which began flight tests in 1970. Communication satellite built by NPO Prikladnoi Mekhaniki (NPO PM), Russia. Launched 1983 - 2004. Used KAUR-2 bus. AKA: 11F658;Korund. Status: Operational 1976. First Launch: 1976-01-22. Last Launch: 2004-02-18. Number: 63 . Gross mass: 1,656 kg (3,650 lb). Height: 4.40 m (14.40 ft). Span: 8.20 m (26.90 ft). The system was operational by 1972. Communications stations for the Rocket Forces, Air Force, and Navy were in place by 1975 (Ruchey Command and Control System). The satellite itself was part of the Korund system, which allowed strategic communications and telephony with military units in Siberia and the Far East. The complete system included 8 spacecraft, in four orbital planes, replenished as necessary. The satellite reliability improved over time, with a maximum life of about four years. The system used Surgut secure radio lines and had a 20 year system life, with 70 launches total. The improved Korund-M system began flight trials in 1983 and was accepted into military service in 1987. Although the system supported the Russian Orbita Television network, the principal function was to service government and military communications traffic via a single 40 W, 1.0/ 0.8 GHz transponder. From Molniya 1-75 in 1989, all Molniya-1T spacecraft were launched from the Plesetsk Cosmodrome by the Molniya booster. The average launch rate in the 1970's and 1980's was over three per year. After 1993 this declined to one launch every other year. However the much-reduced network evidently could still support essential military communications within Russian territory. Family: Communications, Military communications sat, Molniya orbit. Country: Russia. Engines: KDU-414. Launch Vehicles: R-7, Molniya 8K78, Molniya 8K78M. Projects: Molniya. Launch Sites: Baikonur, Baikonur LC1, Plesetsk, Plesetsk LC43/4, Plesetsk LC43/3, Plesetsk LC16/2. Agency: MOM, Reshetnev bureau. Bibliography: 102, 2, 279, 4, 552, 554, 6, 64, 65, 12851. 1976 January 22 - . 11:38 GMT - . Launch Site: Baikonur. Launch Complex: Baikonur LC1. Launch Pad: LC1 or LC31. LV Family: R-7. Launch Vehicle: Molniya 8K78M. Molniya 1-32 - . Payload: Molniya-1T. Mass: 1,600 kg (3,500 lb). Nation: Russia. Agency: MOM. Program: Molniya. Class: Communications. Type: Military communications satellite. Spacecraft Bus: KAUR-2. Spacecraft: Molniya-1T. USAF Sat Cat: 8601 . COSPAR: 1976-006A. Apogee: 38,210 km (23,740 mi). Perigee: 2,247 km (1,396 mi). Inclination: 63.60 deg. Period: 719.80 min. Continued operation of the long-range telephone and telegraph radio-communication system within the Soviet Union and transmission of USSR central television programmes to stations in the Orbita and participating international networks (international cooperation scheme). 1976 March 11 - . 19:45 GMT - . Launch Site: Plesetsk. LV Family: R-7. Launch Vehicle: Molniya 8K78M. Molniya 1-33 - . Payload: Molniya-1T. Mass: 1,600 kg (3,500 lb). Nation: Russia. Agency: MOM. Program: Molniya. Class: Communications. Type: Military communications satellite. Spacecraft Bus: KAUR-2. Spacecraft: Molniya-1T. Decay Date: 1990-10-10 . USAF Sat Cat: 8741 . COSPAR: 1976-021A. Apogee: 37,773 km (23,471 mi). Perigee: 151 km (93 mi). Inclination: 62.60 deg. Period: 669.10 min. Continued operation of the long-range telephone and telegraph radio-communication system within the Soviet Union and transmission of USSR central television programmes to stations in the Orbita and participating international networks (international cooperation scheme). Uncertain if Molniya-1T model was Molniya-1 or Molniya-1T. 1976 March 19 - . 19:31 GMT - . Launch Site: Baikonur. Launch Complex: Baikonur LC1. Launch Pad: LC1 or LC31. LV Family: R-7. Launch Vehicle: Molniya 8K78M. Molniya 1-34 - . Payload: Molniya-1T. Mass: 1,600 kg (3,500 lb). Nation: Russia. Agency: MOM. Program: Molniya. Class: Communications. Type: Military communications satellite. Spacecraft Bus: KAUR-2. Spacecraft: Molniya-1T. Decay Date: 1985-05-14 . USAF Sat Cat: 8762 . COSPAR: 1976-026A. Apogee: 39,722 km (24,682 mi). Perigee: 617 km (383 mi). Inclination: 62.70 deg. Period: 717.40 min. 1976 July 23 - . 15:49 GMT - . Launch Site: Baikonur. Launch Complex: Baikonur LC1. Launch Pad: LC1 or LC31. LV Family: R-7. Launch Vehicle: Molniya 8K78M. Molniya 1-35 - . Payload: Molniya-1T. Mass: 1,600 kg (3,500 lb). Nation: Russia. Agency: MOM. Program: Molniya. Class: Communications. Type: Military communications satellite. Spacecraft Bus: KAUR-2. Spacecraft: Molniya-1T. Decay Date: 1987-05-29 . USAF Sat Cat: 9049 . COSPAR: 1976-074A. Apogee: 38,911 km (24,178 mi). Perigee: 483 km (300 mi). Inclination: 62.90 deg. Period: 698.40 min. 1977 March 24 - . 11:51 GMT - . Launch Site: Plesetsk. LV Family: R-7. Launch Vehicle: Molniya 8K78M. Molniya 1-36 - . Payload: Molniya-1T. Mass: 1,600 kg (3,500 lb). Nation: Russia. Agency: MOM. Program: Molniya. Class: Communications. Type: Military communications satellite. Spacecraft Bus: KAUR-2. Spacecraft: Molniya-1T. USAF Sat Cat: 9880 . COSPAR: 1977-021A. Apogee: 38,042 km (23,638 mi). Perigee: 2,288 km (1,421 mi). Inclination: 63.70 deg. Period: 717.30 min. 1977 June 24 - . 05:41 GMT - . Launch Site: Baikonur. Launch Complex: Baikonur LC1. Launch Pad: LC1 or LC31. LV Family: R-7. Launch Vehicle: Molniya 8K78M. Molniya 1-37 - . Payload: Molniya-1T. Mass: 1,600 kg (3,500 lb). Nation: Russia. Agency: MOM. Program: Molniya. Class: Communications. Type: Military communications satellite. Spacecraft Bus: KAUR-2. Spacecraft: Molniya-1T. Decay Date: 1993-05-20 . USAF Sat Cat: 10092 . COSPAR: 1977-054A. Apogee: 4,564 km (2,835 mi). Perigee: 106 km (65 mi). Inclination: 62.60 deg. Period: 134.90 min. Operation of a system of long range telephone-telegraph radiocommunication, and transmission of USSR Central Television programmes to the stations of the Orbita network. .
1977 August 30 - . 18:06 GMT - . Launch Site: Plesetsk. LV Family: R-7. Launch Vehicle: Molniya 8K78M. Molniya 1-38 - . Payload: Molniya-1T. Mass: 1,600 kg (3,500 lb). Nation: Russia. Agency: MOM. Program: Molniya. Class: Communications. Type: Military communications satellite. Spacecraft Bus: KAUR-2. Spacecraft: Molniya-1T. Decay Date: 1993-09-28 . USAF Sat Cat: 10315 . COSPAR: 1977-082A. Apogee: 38,159 km (23,710 mi). Perigee: 187 km (116 mi). Inclination: 62.60 deg. Period: 677.50 min. Continued operation of the long-range telephone and telegraph radio-communication system; transmission of USSR central television programmes to stations in the Orbita network and international cooperation. Uncertain if Molniya-1T model was Molniya-1 or Molniya-1T. 1978 March 2 - . 22:07 GMT - . Launch Site: Plesetsk. LV Family: R-7. Launch Vehicle: Molniya 8K78M. Molniya 1-39 - . Payload: Molniya-1T. Mass: 1,600 kg (3,500 lb). Nation: Russia. Agency: MOM. Program: Molniya. Class: Communications. Type: Military communications satellite. Spacecraft Bus: KAUR-2. Spacecraft: Molniya-1T. Decay Date: 1992-03-09 . USAF Sat Cat: 10696 . COSPAR: 1978-024A. Apogee: 39,957 km (24,828 mi). Perigee: 401 km (249 mi). Inclination: 62.00 deg. Period: 717.90 min. Operation of a system of long range telephone-telegraph radiocommunication, and transmission of USSR Central Television programmes to the stations of the Orbita network. .
1978 June 2 - . 12:12 GMT - . Launch Site: Plesetsk. LV Family: R-7. Launch Vehicle: Molniya 8K78M. Molniya 1-40 - . Payload: Molniya-1T. Mass: 1,600 kg (3,500 lb). Nation: Russia. Agency: MOM. Program: Molniya. Class: Communications. Type: Military communications satellite. Spacecraft Bus: KAUR-2. Spacecraft: Molniya-1T. USAF Sat Cat: 10925 . COSPAR: 1978-055A. Apogee: 38,729 km (24,065 mi). Perigee: 1,627 km (1,010 mi). Inclination: 63.90 deg. Period: 717.80 min. Uncertain if Molniya-1T model was Molniya-1 or Molniya-1T. Operation of a system of long range telephone-telegraph radiocommunication, and transmission of USSR Central Television programmes to the stations of the Orbita network..
1978 July 14 - . 15:00 GMT - . Launch Site: Plesetsk. LV Family: R-7. Launch Vehicle: Molniya 8K78M. Molniya 1-41 - . Payload: Molniya-1T. Mass: 1,600 kg (3,500 lb). Nation: Russia. Agency: MOM. Program: Molniya. Class: Communications. Type: Military communications satellite. Spacecraft Bus: KAUR-2. Spacecraft: Molniya-1T. Decay Date: 1992-02-08 . USAF Sat Cat: 10984 . COSPAR: 1978-072A. Apogee: 38,306 km (23,802 mi). Perigee: 260 km (160 mi). Inclination: 61.80 deg. Period: 681.90 min. Uncertain if Molniya-1T model was Molniya-1 or Molniya-1T. Operation of the long-range telephone and telegraph radiocommunications system in the USSR; transmission of television programmes to stations in the Orbita network..
1978 August 22 - . 23:47 GMT - . Launch Site: Plesetsk. LV Family: R-7. Launch Vehicle: Molniya 8K78M. Molniya 1-42 - . Payload: Molniya-1T. Mass: 1,600 kg (3,500 lb). Nation: Russia. Agency: MOM. Program: Molniya. Class: Communications. Type: Military communications satellite. Spacecraft Bus: KAUR-2. Spacecraft: Molniya-1T. Decay Date: 2015-08-11 . USAF Sat Cat: 11007 . COSPAR: 1978-080A. Apogee: 34,374 km (21,358 mi). Perigee: 1,181 km (733 mi). Inclination: 63.80 deg. Period: 622.70 min. Operation of the long-range telephone and telegraph radiocommunications system in the USSR; transmission of television programmes to stations in the Orbita network. .
1979 April 12 - . 00:28 GMT - . Launch Site: Plesetsk. LV Family: R-7. Launch Vehicle: Molniya 8K78M. Molniya 1-43 - . Payload: Molniya-1T. Mass: 1,600 kg (3,500 lb). Nation: Russia. Agency: MOM. Program: Molniya. Class: Communications. Type: Military communications satellite. Spacecraft Bus: KAUR-2. Spacecraft: Molniya-1T. Decay Date: 1989-12-09 . USAF Sat Cat: 11328 . COSPAR: 1979-031A. Apogee: 39,936 km (24,815 mi). Perigee: 199 km (123 mi). Inclination: 64.00 deg. Period: 713.40 min. Uncertain if Molniya-1T model was Molniya-1 or Molniya-1T. Operation of the long-range telephone and telegraph radiocommunications system in the USSR; transmission of television programmes to stations in the Orbita network..
1979 July 31 - . 03:56 GMT - . Launch Site: Plesetsk. LV Family: R-7. Launch Vehicle: Molniya 8K78M. Molniya 1-44 - . Payload: Molniya-1T. Mass: 1,600 kg (3,500 lb). Nation: Russia. Agency: MOM. Program: Molniya. Class: Communications. Type: Military communications satellite. Spacecraft Bus: KAUR-2. Spacecraft: Molniya-1T. Decay Date: 2017-10-23 . USAF Sat Cat: 11474 . COSPAR: 1979-070A. Apogee: 39,806 km (24,734 mi). Perigee: 550 km (340 mi). Inclination: 63.30 deg. Period: 717.80 min. Operation of the long-range telephone and telegraph radiocommunications system in the USSR; transmission of television programmes to stations in the Orbita network. .
1979 October 20 - . 07:03 GMT - . Launch Site: Plesetsk. LV Family: R-7. Launch Vehicle: Molniya 8K78M. Molniya 1-45 - . Payload: Molniya-1T. Mass: 1,600 kg (3,500 lb). Nation: Russia. Agency: MOM. Program: Molniya. Class: Communications. Type: Military communications satellite. Spacecraft Bus: KAUR-2. Spacecraft: Molniya-1T. Decay Date: 1994-02-18 . USAF Sat Cat: 11589 . COSPAR: 1979-091A. Apogee: 39,615 km (24,615 mi). Perigee: 93 km (57 mi). Inclination: 61.70 deg. Period: 704.70 min. Uncertain if Molniya-1T model was Molniya-1 or Molniya-1T. Operation of the long-range telephone and telegraph radiocommunications system in the USSR; transmission of television programmes to stations in the Orbita network..
1980 January 11 - . 12:28 GMT - . Launch Site: Plesetsk. LV Family: R-7. Launch Vehicle: Molniya 8K78M. Molniya 1-46 - . Payload: Molniya-1T. Mass: 1,600 kg (3,500 lb). Nation: Russia. Agency: MOM. Program: Molniya. Class: Communications. Type: Military communications satellite. Spacecraft Bus: KAUR-2. Spacecraft: Molniya-1T. Decay Date: 1992-10-22 . USAF Sat Cat: 11662 . COSPAR: 1980-002A. Apogee: 28,891 km (17,952 mi). Perigee: 103 km (64 mi). Inclination: 63.20 deg. Period: 500.30 min. Uncertain if Molniya-1T model was Molniya-1 or Molniya-1T. Operation of the long-range telephone and telegraph radiocommunications system in the USSR; transmission of television programmes to stations in the Orbita network..
1980 June 21 - . 18:34 GMT - . Launch Site: Plesetsk. LV Family: R-7. Launch Vehicle: Molniya 8K78M. Molniya 1-47 - . Payload: Molniya-1T. Mass: 1,600 kg (3,500 lb). Nation: Russia. Agency: MOM. Program: Molniya. Class: Communications. Type: Military communications satellite. Spacecraft Bus: KAUR-2. Spacecraft: Molniya-1T. Decay Date: 1991-04-01 . USAF Sat Cat: 11856 . COSPAR: 1980-053A. Apogee: 24,508 km (15,228 mi). Perigee: 98 km (60 mi). Inclination: 63.60 deg. Period: 423.50 min. Uncertain if Molniya-1T model was Molniya-1 or Molniya-1T. Operation of the long-range telephone and telegraph radiocommunications system in the USSR; transmission of television programmes to stations in the Orbita network..
1980 November 16 - . 04:18 GMT - . Launch Site: Plesetsk. LV Family: R-7. Launch Vehicle: Molniya 8K78M. Molniya 1-48 - . Payload: Molniya-1T. Mass: 1,600 kg (3,500 lb). Nation: Russia. Agency: MOM. Program: Molniya. Class: Communications. Type: Military communications satellite. Spacecraft Bus: KAUR-2. Spacecraft: Molniya-1T. Decay Date: 1995-11-18 . USAF Sat Cat: 12066 . COSPAR: 1980-092A. Apogee: 39,291 km (24,414 mi). Perigee: 870 km (540 mi). Inclination: 62.40 deg. Period: 713.90 min. Uncertain if Molniya-1T model was Molniya-1 or Molniya-1T. Operation of the long-range telephone and telegraph radiocommunications system in the USSR; transmission of television programmes to stations in the Orbita network..
1981 January 30 - . 16:27 GMT - . Launch Site: Plesetsk. LV Family: R-7. Launch Vehicle: Molniya 8K78M. Molniya 1-49 - . Payload: Molniya-1T. Mass: 1,600 kg (3,500 lb). Nation: Russia. Agency: MOM. Program: Molniya. Class: Communications. Type: Military communications satellite. Spacecraft Bus: KAUR-2. Spacecraft: Molniya-1T. USAF Sat Cat: 12156 . COSPAR: 1981-009A. Apogee: 38,759 km (24,083 mi). Perigee: 1,571 km (976 mi). Inclination: 63.70 deg. Period: 717.30 min. Replaced Molniya 1-41. Uncertain if Molniya-1T model was Molniya-1 or Molniya-1T. Operation of the long-range telephone and telegraph radiocommunications system in the USSR; transmission of television programmes to stations in the Orbita network..
1981 June 24 - . 17:47 GMT - . Launch Site: Plesetsk. LV Family: R-7. Launch Vehicle: Molniya 8K78M. Molniya 1-50 - . Payload: Molniya-1T. Mass: 1,600 kg (3,500 lb). Nation: Russia. Agency: MOM. Program: Molniya. Class: Communications. Type: Military communications satellite. Spacecraft Bus: KAUR-2. Spacecraft: Molniya-1T. Decay Date: 1991-12-14 . USAF Sat Cat: 12556 . COSPAR: 1981-060A. Apogee: 39,708 km (24,673 mi). Perigee: 190 km (110 mi). Inclination: 63.90 deg. Period: 708.60 min. Replaced Molniya 1-42. Uncertain if Molniya-1T model was Molniya-1 or Molniya-1T. Operation of the long-range telephone and telegraph radio communications system in the USSR; transmission of USSR Central Television programmes to stations in the Orbita network. 1981 November 17 - . 15:25 GMT - . Launch Site: Plesetsk. LV Family: R-7. Launch Vehicle: Molniya 8K78M. Molniya 1-51 - . Payload: Molniya-1T. Mass: 1,600 kg (3,500 lb). Nation: Russia. Agency: MOM. Program: Molniya. Class: Communications. Type: Military communications satellite. Spacecraft Bus: KAUR-2. Spacecraft: Molniya-1T. Decay Date: 1993-11-02 . USAF Sat Cat: 12959 . COSPAR: 1981-113A. Apogee: 39,457 km (24,517 mi). Perigee: 134 km (83 mi). Inclination: 63.50 deg. Period: 702.40 min. Uncertain if Molniya-1T model was Molniya-1 or Molniya-1T. Operation of the long-range telephone and telegraph radio communications system in the USSR; transmission of USSR Central Television programmes to stations in the Orbita network..
1981 December 23 - . 13:15 GMT - . Launch Site: Baikonur. Launch Complex: Baikonur LC1. Launch Pad: LC1 or LC31. LV Family: R-7. Launch Vehicle: Molniya 8K78M. Molniya 1-52 - . Payload: Molniya-1T. Mass: 1,600 kg (3,500 lb). Nation: Russia. Agency: MOM. Program: Molniya. Class: Communications. Type: Military communications satellite. Spacecraft Bus: KAUR-2. Spacecraft: Molniya-1T. USAF Sat Cat: 13012 . COSPAR: 1981-123A. Apogee: 38,267 km (23,777 mi). Perigee: 2,097 km (1,303 mi). Inclination: 63.80 deg. Period: 718.00 min. Replaced Molniya 1-45. Uncertain if Molniya-1T model was Molniya-1 or Molniya-1T. Operation of the long-range telephone and telegraph radio communications system in the USSR; transmission of USSR Central Television programmes to stations in the Orbita network. 1982 February 26 - . 20:10 GMT - . Launch Site: Plesetsk. LV Family: R-7. Launch Vehicle: Molniya 8K78M. Molniya 1-53 - . Payload: Molniya-1T. Mass: 1,600 kg (3,500 lb). Nation: Russia. Agency: MOM. Program: Molniya. Class: Communications. Type: Military communications satellite. Spacecraft Bus: KAUR-2. Spacecraft: Molniya-1T. USAF Sat Cat: 13070 . COSPAR: 1982-015A. Apogee: 38,895 km (24,168 mi). Perigee: 1,456 km (904 mi). Inclination: 63.20 deg. Period: 717.70 min. Replaced Molniya 1-47. Uncertain if Molniya-1T model was Molniya-1 or Molniya-1T. Operation of the long-range telephone and telegraph radio communications system in the USSR; transmission of USSR Central Television programmes to stations in the Orbita network. 1982 May 28 - . 22:02 GMT - . Launch Site: Plesetsk. LV Family: R-7. Launch Vehicle: Molniya 8K78M. Molniya 1-54 - . Payload: Molniya-1T. Mass: 1,600 kg (3,500 lb). Nation: Russia. Agency: MOM. Program: Molniya. Class: Communications. Type: Military communications satellite. Spacecraft Bus: KAUR-2. Spacecraft: Molniya-1T. Decay Date: 1992-11-19 . USAF Sat Cat: 13237 . COSPAR: 1982-050A. Apogee: 40,054 km (24,888 mi). Perigee: 259 km (160 mi). Inclination: 64.30 deg. Period: 716.90 min. Replaced Molniya 1-44. Operation of the long-range telephone and telegraph radio communications system in the USSR; transmission of USSR Central Television programmes to stations in the Orbita network. .
1982 July 21 - . 09:40 GMT - . Launch Site: Baikonur. Launch Complex: Baikonur LC1. Launch Pad: LC1 or LC31. LV Family: R-7. Launch Vehicle: Molniya 8K78M. Molniya 1-55 - . Payload: Molniya-1T. Mass: 1,600 kg (3,500 lb). Nation: Russia. Agency: MOM. Program: Molniya. Class: Communications. Type: Military communications satellite. Spacecraft Bus: KAUR-2. Spacecraft: Molniya-1T. Decay Date: 1992-10-08 . USAF Sat Cat: 13383 . COSPAR: 1982-074A. Apogee: 39,618 km (24,617 mi). Perigee: 160 km (90 mi). Inclination: 63.90 deg. Period: 706.20 min. Uncertain if Molniya-1T model was Molniya-1 or Molniya-1T. Operation of the long-range telephone and telegraph radio communications system in the USSR; transmission of USSR Central Television programmes to stations in the Orbita network..
1982 December 8 - . 13:46 GMT - . Launch Site: Baikonur. Launch Complex: Baikonur LC1. Launch Pad: LC1?. LV Family: R-7. Launch Vehicle: Molniya 8K78M. FAILURE: Fourth stage failure.. Failed Stage: U.
Cosmos 1423 - . Payload: Molniya-1T s/n 60. Mass: 1,600 kg (3,500 lb). Nation: Russia. Agency: MOM. Program: Molniya. Class: Communications. Type: Military communications satellite. Spacecraft Bus: KAUR-2. Spacecraft: Molniya-1T. Decay Date: 1982-12-31 . USAF Sat Cat: 13685 . COSPAR: 1982-115A. Apogee: 571 km (354 mi). Perigee: 348 km (216 mi). Inclination: 62.80 deg. Period: 93.80 min. Intended to replace Molniya 1-48; failed. Investigation of the upper atmosphere and outer space..
1983 March 16 - . 18:14 GMT - . Launch Site: Plesetsk. LV Family: R-7. Launch Vehicle: Molniya 8K78M. Molniya 1-56 - . Payload: Molniya-1T. Mass: 1,600 kg (3,500 lb). Nation: Russia. Agency: MOM. Program: Molniya. Class: Communications. Type: Military communications satellite. Spacecraft Bus: KAUR-2. Spacecraft: Molniya-1T. USAF Sat Cat: 13890 . COSPAR: 1983-019A. Apogee: 39,043 km (24,260 mi). Perigee: 1,442 km (896 mi). Inclination: 63.90 deg. Period: 720.50 min. Replaced Molniya 1-50. Operation of the long-range telephone and telegraph radio communications system in the USSR; transmission of USSR Central Television programmes to stations in the Orbita network. .
1983 April 2 - . 02:02 GMT - . Launch Site: Baikonur. Launch Complex: Baikonur LC1. Launch Pad: LC1 or LC31. LV Family: R-7. Launch Vehicle: Molniya 8K78M. Molniya 1-57 - . Payload: Molniya-1T. Mass: 1,600 kg (3,500 lb). Nation: Russia. Agency: MOM. Program: Molniya. Class: Communications. Type: Military communications satellite. Spacecraft Bus: KAUR-2. Spacecraft: Molniya-1T. Decay Date: 2000-01-26 . USAF Sat Cat: 13964 . COSPAR: 1983-025A. Apogee: 39,551 km (24,575 mi). Perigee: 802 km (498 mi). Inclination: 63.90 deg. Period: 717.80 min. Replaced Molniya 1-52. Operation of the long-range telephone and telegraph radio communications system in the USSR; transmission of USSR Central Television programmes to stations in the Orbita network..
1983 July 19 - . 15:14 GMT - . Launch Site: Baikonur. Launch Complex: Baikonur LC1. Launch Pad: LC1 or LC31. LV Family: R-7. Launch Vehicle: Molniya 8K78M. Molniya 1-58 - . Payload: Molniya-1T. Mass: 1,600 kg (3,500 lb). Nation: Russia. Agency: MOM. Program: Molniya. Class: Communications. Type: Military communications satellite. Spacecraft Bus: KAUR-2. Spacecraft: Molniya-1T. Decay Date: 1995-02-23 . USAF Sat Cat: 14199 . COSPAR: 1983-073A. Apogee: 25,838 km (16,054 mi). Perigee: 200 km (120 mi). Inclination: 63.50 deg. Period: 448.10 min. Replaced Molniya 1-49. Operation of the long-range telephone and telegraph radio communications system in the USSR; transmission of USSR Central Television programmes to stations in the Orbita network..
1983 November 23 - . 16:45 GMT - . Launch Site: Plesetsk. LV Family: R-7. Launch Vehicle: Molniya 8K78M. Molniya 1-59 - . Payload: Molniya-1T. Mass: 1,600 kg (3,500 lb). Nation: Russia. Agency: MOM. Program: Molniya. Class: Communications. Type: Military communications satellite. Spacecraft Bus: KAUR-2. Spacecraft: Molniya-1T. Decay Date: 2001-10-30 . USAF Sat Cat: 14516 . COSPAR: 1983-114A. Apogee: 38,678 km (24,033 mi). Perigee: 1,742 km (1,082 mi). Inclination: 64.20 deg. Period: 719.10 min. Operation of the long-range telephone and telegraph radio communications system in the USSR; transmission of USSR Central Television programmes to stations in the Orbita network. .
1984 March 16 - . 23:29 GMT - . Launch Site: Plesetsk. LV Family: R-7. Launch Vehicle: Molniya 8K78M. Molniya 1-60 - . Payload: Molniya-1T. Mass: 1,800 kg (3,900 lb). Nation: Russia. Agency: MOM. Program: Molniya. Class: Communications. Type: Military communications satellite. Spacecraft Bus: KAUR-2. Spacecraft: Molniya-1T. Decay Date: 1994-11-04 . USAF Sat Cat: 14825 . COSPAR: 1984-029A. Apogee: 40,011 km (24,861 mi). Perigee: 277 km (172 mi). Inclination: 64.20 deg. Period: 716.50 min. Replaced Molniya 1-51. Operation of the long-range telephone and telegraph radio communications system in the USSR; transmission of USSR Central Television programmes to stations in the Orbita network. .
1984 August 10 - . 00:03 GMT - . Launch Site: Plesetsk. LV Family: R-7. Launch Vehicle: Molniya 8K78M. Molniya 1-61 - . Payload: Molniya-1T. Mass: 1,800 kg (3,900 lb). Nation: Russia. Agency: MOM. Program: Molniya. Class: Communications. Type: Military communications satellite. Spacecraft Bus: KAUR-2. Spacecraft: Molniya-1T. Decay Date: 2002-12-31 . USAF Sat Cat: 15182 . COSPAR: 1984-085A. Apogee: 38,330 km (23,810 mi). Perigee: 1,935 km (1,202 mi). Inclination: 64.20 deg. Period: 716.00 min. Operation of the long-range telephone and telegraph radio communications system in the USSR; transmission of USSR Central Television programmes to stations in the Orbita network..
1984 August 24 - . 08:26 GMT - . Launch Site: Plesetsk. LV Family: R-7. Launch Vehicle: Molniya 8K78M. Molniya 1-62 - . Payload: Molniya-1T. Mass: 1,800 kg (3,900 lb). Nation: Russia. Agency: MOM. Program: Molniya. Class: Communications. Type: Military communications satellite. Spacecraft Bus: KAUR-2. Spacecraft: Molniya-1T. USAF Sat Cat: 15214 . COSPAR: 1984-089A. Apogee: 40,372 km (25,085 mi). Perigee: 836 km (519 mi). Inclination: 63.90 deg. Period: 735.20 min. Replaced Molniya 1-54. Operation of the long-range telephone and telegraph radio communications system in the USSR; transmission of USSR Central Television programmes to stations in the Orbita network..
1984 December 14 - . 20:40 GMT - . Launch Site: Plesetsk. LV Family: R-7. Launch Vehicle: Molniya 8K78M. Molniya 1-63 - . Payload: Molniya-1T. Mass: 1,800 kg (3,900 lb). Nation: Russia. Agency: MOM. Program: Molniya. Class: Communications. Type: Military communications satellite. Spacecraft Bus: KAUR-2. Spacecraft: Molniya-1T. USAF Sat Cat: 15429 . COSPAR: 1984-124A. Apogee: 38,722 km (24,060 mi). Perigee: 1,605 km (997 mi). Inclination: 64.00 deg. Period: 717.20 min. Replaced Molniya 1-55. Operation of the long-range telephone and telegraph radio communications system in the USSR; transmission of USSR Central Television programmes to stations in the Orbita network..
1985 August 22 - . 19:28 GMT - . Launch Site: Plesetsk. LV Family: R-7. Launch Vehicle: Molniya 8K78M. Molniya 1-64 - . Payload: Molniya-1T. Mass: 1,800 kg (3,900 lb). Nation: Russia. Agency: MOM. Program: Molniya. Class: Communications. Type: Military communications satellite. Spacecraft Bus: KAUR-2. Spacecraft: Molniya-1T. Decay Date: 2000-03-22 . USAF Sat Cat: 15977 . COSPAR: 1985-074A. Apogee: 38,370 km (23,840 mi). Perigee: 1,987 km (1,234 mi). Inclination: 64.70 deg. Period: 717.80 min. Replaced Molniya 1-61. Operation of the long-range telephone and telegraph radio communications system in the USSR; transmission of USSR Central Television programmes to stations in the Orbita network. .
1985 October 23 - . 00:42 GMT - . Launch Site: Baikonur. Launch Complex: Baikonur LC1. Launch Pad: LC1 or LC31. LV Family: R-7. Launch Vehicle: Molniya 8K78M. Molniya 1-65 - . Payload: Molniya-1T. Mass: 1,800 kg (3,900 lb). Nation: Russia. Agency: MOM. Program: Molniya. Class: Communications. Type: Military communications satellite. Spacecraft Bus: KAUR-2. Spacecraft: Molniya-1T. Decay Date: 1999-02-13 . USAF Sat Cat: 16187 . COSPAR: 1985-099A. Apogee: 39,239 km (24,381 mi). Perigee: 1,104 km (685 mi). Inclination: 64.50 deg. Period: 717.60 min. Replaced Molniya 1-58. Operation of the long-range telephone and telegraph radio communications system in the USSR; transmission of USSR Central Television programmes to stations in the Orbita network. .
1985 October 28 - . 17:24 GMT - . Launch Site: Plesetsk. LV Family: R-7. Launch Vehicle: Molniya 8K78M. Molniya 1-66 - . Payload: Molniya-1T. Mass: 1,800 kg (3,900 lb). Nation: Russia. Agency: MOM. Program: Molniya. Class: Communications. Type: Military communications satellite. Spacecraft Bus: KAUR-2. 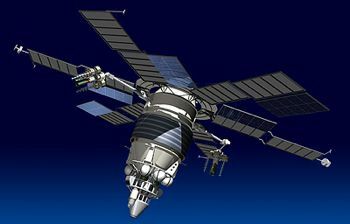 Spacecraft: Molniya-1T. Decay Date: 2002-08-02 . USAF Sat Cat: 16220 . COSPAR: 1985-103A. Apogee: 38,699 km (24,046 mi). Perigee: 1,656 km (1,028 mi). Inclination: 64.10 deg. Period: 717.80 min. Replaced Molniya 1-56. Operation of the long-range telephone and telegraph radio communications system in the USSR; transmission of USSR Central Television programmes to stations in the Orbita network. .
1986 July 30 - . 15:06 GMT - . Launch Site: Plesetsk. LV Family: R-7. Launch Vehicle: Molniya 8K78M. Molniya 1-67 - . Payload: Molniya-1T. Mass: 1,800 kg (3,900 lb). Nation: Russia. Agency: MOM. Program: Molniya. Class: Communications. Type: Military communications satellite. Spacecraft Bus: KAUR-2. Spacecraft: Molniya-1T. Decay Date: 2000-01-28 . USAF Sat Cat: 16885 . COSPAR: 1986-057A. Apogee: 38,765 km (24,087 mi). Perigee: 1,595 km (991 mi). Inclination: 64.70 deg. Period: 717.90 min. Replaced Molniya 1-59. Operation of the long-range telephone and telegraph radio communications system in the USSR; transmission of USSR Central Television programmes to stations in the Orbita network. .
1986 September 5 - . 09:12 GMT - . Launch Site: Plesetsk. LV Family: R-7. Launch Vehicle: Molniya 8K78M. Molniya 1-68 - . Payload: Molniya-1T. Mass: 1,800 kg (3,900 lb). Nation: Russia. Agency: MOM. Program: Molniya. Class: Communications. Type: Military communications satellite. Spacecraft Bus: KAUR-2. Spacecraft: Molniya-1T. Decay Date: 2000-06-20 . USAF Sat Cat: 16934 . COSPAR: 1986-068A. Apogee: 38,643 km (24,011 mi). Perigee: 1,710 km (1,060 mi). Inclination: 64.60 deg. Period: 717.80 min. Replaced Molniya 1-57. Operation of the long-range telephone and telegraph radio communications system in the USSR; transmission of USSR Central Television programmes to stations in the Orbita network. .
1986 November 15 - . 21:34 GMT - . Launch Site: Plesetsk. LV Family: R-7. Launch Vehicle: Molniya 8K78M. Molniya 1-69 - . Payload: Molniya-1T. Mass: 1,800 kg (3,900 lb). Nation: Russia. Agency: MOM. Program: Molniya. Class: Communications. Type: Military communications satellite. Spacecraft Bus: KAUR-2. Spacecraft: Molniya-1T. USAF Sat Cat: 17078 . COSPAR: 1986-089A. Apogee: 38,824 km (24,124 mi). Perigee: 1,506 km (935 mi). Inclination: 64.00 deg. Period: 717.30 min. Replaced Molniya 1-60. Operation of the long-range telephone and telegraph radio communications system in the USSR; transmission of USSR Central Television programmes to stations in the Orbita network. .
1986 December 26 - . 15:25 GMT - . Launch Site: Plesetsk. LV Family: R-7. Launch Vehicle: Molniya 8K78M. Molniya 1-70 - . Payload: Molniya-1T. Mass: 1,800 kg (3,900 lb). Nation: Russia. Agency: MOM. Program: Molniya. Class: Communications. Type: Military communications satellite. Spacecraft Bus: KAUR-2. Spacecraft: Molniya-1T. Decay Date: 2006-02-01 . USAF Sat Cat: 17264 . COSPAR: 1986-103A. Apogee: 39,283 km (24,409 mi). Perigee: 1,070 km (660 mi). Inclination: 64.20 deg. Period: 717.80 min. Replaced Molniya 1-62. Operation of the long-range telephone and telegraph radio communications system in the USSR; transmission of USSR Central Television programmes to stations in the Orbita network. .
1988 March 11 - . 06:38 GMT - . Launch Site: Baikonur. Launch Complex: Baikonur LC1. Launch Pad: LC1 or LC31. LV Family: R-7. Launch Vehicle: Molniya 8K78M. Molniya 1-71 - . Payload: Molniya-1T. Mass: 1,800 kg (3,900 lb). Nation: Russia. Agency: MOM. Program: Molniya. Class: Communications. Type: Military communications satellite. Spacecraft Bus: KAUR-2. Spacecraft: Molniya-1T. USAF Sat Cat: 18946 . COSPAR: 1988-017A. Apogee: 39,149 km (24,326 mi). Perigee: 1,199 km (745 mi). Inclination: 63.80 deg. Period: 717.70 min. Operation of the long-range telephone and telegraph radio communications system in the USSR; transmission of USSR Central Television programmes to stations in the Orbita network. .
1988 March 17 - . 20:55 GMT - . Launch Site: Plesetsk. LV Family: R-7. Launch Vehicle: Molniya 8K78M. Molniya 1-72 - . Payload: Molniya-1T. Mass: 1,800 kg (3,900 lb). Nation: Russia. Agency: MOM. Program: Molniya. Class: Communications. Type: Military communications satellite. Spacecraft Bus: KAUR-2. Spacecraft: Molniya-1T. Decay Date: 2001-07-04 . USAF Sat Cat: 18980 . COSPAR: 1988-022A. Apogee: 38,228 km (23,753 mi). Perigee: 2,121 km (1,317 mi). Inclination: 64.80 deg. Period: 717.70 min. Operation of the long-range telephone and telegraph radio communications system in the USSR; transmission of USSR Central Television programmes to stations in the Orbita network. .
1988 August 12 - . 12:53 GMT - . Launch Site: Plesetsk. LV Family: R-7. Launch Vehicle: Molniya 8K78M. Molniya 1-73 - . Payload: Molniya-1T. Mass: 1,800 kg (3,900 lb). Nation: Russia. Agency: MOM. Program: Molniya. Class: Communications. Type: Military communications satellite. Spacecraft Bus: KAUR-2. Spacecraft: Molniya-1T. Decay Date: 1999-12-16 . USAF Sat Cat: 19377 . COSPAR: 1988-069A. Apogee: 38,629 km (24,002 mi). Perigee: 1,726 km (1,072 mi). Inclination: 64.80 deg. Period: 717.80 min. Operation of the long-range telephone and telegraph radio communications system in the USSR; transmission of USSR Central Television programmes to stations in the Orbita network. .
1988 December 28 - . 05:27 GMT - . Launch Site: Plesetsk. LV Family: R-7. Launch Vehicle: Molniya 8K78M. Molniya 1-74 - . Payload: Molniya-1T. Mass: 1,800 kg (3,900 lb). Nation: Russia. Agency: MOM. Program: Molniya. Class: Communications. Type: Military communications satellite. Spacecraft Bus: KAUR-2. Spacecraft: Molniya-1T. Decay Date: 1998-07-31 . USAF Sat Cat: 19730 . COSPAR: 1988-115A. Apogee: 39,002 km (24,234 mi). Perigee: 1,358 km (843 mi). Inclination: 64.90 deg. Period: 717.90 min. Operation of the long-range telephone and telegraph radio communications system in the USSR; transmission of USSR Central Television programmes to stations in the Orbita network and within the framework of international cooperation. .
1989 February 15 - . 11:00 GMT - . Launch Site: Baikonur. Launch Complex: Baikonur LC1. Launch Pad: LC1 or LC31. LV Family: R-7. Launch Vehicle: Molniya 8K78M. Molniya 1-75 - . Payload: Molniya-1T. Mass: 1,800 kg (3,900 lb). Nation: Russia. Agency: MOM. Program: Molniya. Class: Communications. Type: Military communications satellite. Spacecraft Bus: KAUR-2. Spacecraft: Molniya-1T. USAF Sat Cat: 19807 . COSPAR: 1989-014A. Apogee: 38,249 km (23,766 mi). Perigee: 2,111 km (1,311 mi). Inclination: 63.50 deg. Period: 717.90 min. Operation of the long-range telephone and telegraph radio communications system in the USSR; transmission of USSR Central Television programmes to stations in the Orbita network and within the framework of international cooperation. .
1989 September 27 - . 14:38 GMT - . Launch Site: Plesetsk. LV Family: R-7. Launch Vehicle: Molniya 8K78M. Molniya 1-76 - . Payload: Molniya-1T. Mass: 1,800 kg (3,900 lb). Nation: Russia. Agency: MOM. Program: Molniya. Class: Communications. Type: Military communications satellite. Spacecraft Bus: KAUR-2. Spacecraft: Molniya-1T. Decay Date: 2000-11-11 . USAF Sat Cat: 20255 . COSPAR: 1989-078A. Apogee: 39,572 km (24,588 mi). Perigee: 783 km (486 mi). Inclination: 64.80 deg. Period: 717.80 min. Operation of the long-range telephone and telegraph radio communications system in the USSR; transmission of USSR Central Television programmes to stations in the Orbita network. .
1990 April 26 - . 01:37 GMT - . Launch Site: Plesetsk. LV Family: R-7. Launch Vehicle: Molniya 8K78M. Molniya 1-77 - . Payload: Molniya-1T. Mass: 1,600 kg (3,500 lb). Nation: Russia. Agency: MOM. Program: Molniya. Class: Communications. Type: Military communications satellite. Spacecraft Bus: KAUR-2. Spacecraft: Molniya-1T. Decay Date: 2005-02-25 . USAF Sat Cat: 20583 . COSPAR: 1990-039A. Apogee: 39,625 km (24,621 mi). Perigee: 724 km (449 mi). Inclination: 64.40 deg. Period: 717.70 min. Operation of the long-range telephone and telegraph radio communications system in the USSR; transmission of USSR Central Television programmes to stations in the Orbita network. .
1990 August 10 - . 20:18 GMT - . Launch Site: Plesetsk. LV Family: R-7. Launch Vehicle: Molniya 8K78M. Molniya 1-78 - . Payload: Molniya-1T. Mass: 1,600 kg (3,500 lb). Nation: Russia. Agency: MOM. Program: Molniya. Class: Communications. Type: Military communications satellite. Spacecraft Bus: KAUR-2. Spacecraft: Molniya-1T. Decay Date: 2007-07-06 . USAF Sat Cat: 20742 . COSPAR: 1990-071A. Apogee: 39,251 km (24,389 mi). Perigee: 1,099 km (682 mi). Inclination: 63.80 deg. Period: 717.70 min. Operation of the long-range telephone and telegraph radio communications system in the USSR; transmission of USSR Central Television programmes to stations in the Orbita network and within the framework of international cooperation. .
1990 November 23 - . 03:51 GMT - . Launch Site: Plesetsk. LV Family: R-7. Launch Vehicle: Molniya 8K78M. Molniya 1-79 - . Payload: Molniya-1T. Mass: 1,600 kg (3,500 lb). Nation: Russia. Agency: MOM. Program: Molniya. Class: Communications. Type: Military communications satellite. Spacecraft Bus: KAUR-2. Spacecraft: Molniya-1T. Decay Date: 2005-08-30 . USAF Sat Cat: 20949 . COSPAR: 1990-101A. Apogee: 39,211 km (24,364 mi). Perigee: 1,126 km (699 mi). Inclination: 62.90 deg. Period: 717.40 min. Operation of the long-range telephone and telegraph radio communications system in the USSR; transmission of USSR Central Television programmes to stations in the Orbita network. .
1991 February 15 - . 15:19 GMT - . Launch Site: Plesetsk. Launch Complex: Plesetsk LC43/3. LV Family: R-7. Launch Vehicle: Molniya 8K78M. Molniya 1-80 - . Payload: Molniya-1T. Mass: 1,600 kg (3,500 lb). Nation: Russia. Agency: MOM. Program: Molniya. Class: Communications. Type: Military communications satellite. Spacecraft Bus: KAUR-2. Spacecraft: Molniya-1T. USAF Sat Cat: 21118 . COSPAR: 1991-012A. Apogee: 37,317 km (23,187 mi). Perigee: 3,029 km (1,882 mi). Inclination: 64.40 deg. Period: 717.60 min. Operation of the long-range telephone and telegraph radio communications system in the USSR; transmission of USSR Central Television programmes to stations in the Orbita network. .
1991 June 18 - . 09:09 GMT - . Launch Site: Plesetsk. Launch Complex: Plesetsk LC43/4. LV Family: R-7. Launch Vehicle: Molniya 8K78M. Molniya 1-81 - . Payload: Molniya-1T. Mass: 1,600 kg (3,500 lb). Nation: Russia. Agency: MOM. Program: Molniya. Class: Communications. Type: Military communications satellite. Spacecraft Bus: KAUR-2. Spacecraft: Molniya-1T. USAF Sat Cat: 21426 . COSPAR: 1991-043A. Apogee: 38,094 km (23,670 mi). Perigee: 2,262 km (1,405 mi). Inclination: 63.60 deg. Period: 717.80 min. Operation of the long-range telephone and telegraph radio communications system in the USSR; transmission of USSR Central Television programmes to stations in the Orbita network. .
1991 August 1 - . 11:53 GMT - . Launch Site: Plesetsk. Launch Complex: Plesetsk LC43/4. LV Family: R-7. Launch Vehicle: Molniya 8K78M. Molniya 1-82 - . Payload: Molniya-1T. Mass: 1,600 kg (3,500 lb). Nation: Russia. Agency: MOM. Program: Molniya. Class: Communications. Type: Military communications satellite. Spacecraft Bus: KAUR-2. Spacecraft: Molniya-1T. Decay Date: 2004-10-09 . USAF Sat Cat: 21630 . COSPAR: 1991-053A. Apogee: 39,591 km (24,600 mi). Perigee: 763 km (474 mi). Inclination: 64.50 deg. Period: 717.80 min. Operation of the long-range telephone and telegraph radio communications system in the USSR; transmission of USSR Central Television programmes to stations in the Orbita network. .
1992 March 4 - . 04:27 GMT - . Launch Site: Plesetsk. Launch Complex: Plesetsk LC43/4. LV Family: R-7. Launch Vehicle: Molniya 8K78M. Molniya 1-83 - . Payload: Molniya-1T. Mass: 1,600 kg (3,500 lb). Nation: Russia. Agency: MOM. Program: Molniya. Class: Communications. Type: Military communications satellite. Spacecraft Bus: KAUR-2. Spacecraft: Molniya-1T. Decay Date: 2007-07-01 . USAF Sat Cat: 21897 . COSPAR: 1992-011A. Apogee: 39,530 km (24,560 mi). Perigee: 823 km (511 mi). Inclination: 63.20 deg. Period: 717.80 min. Operation of the long-range telephone and telegraph radio-communications system and transmission of Central Television programmes. .
1992 August 6 - . 19:30 GMT - . Launch Site: Plesetsk. Launch Complex: Plesetsk LC43/3. LV Family: R-7. Launch Vehicle: Molniya 8K78M. Molniya 1-84 - . Payload: Molniya-1T. Mass: 1,600 kg (3,500 lb). Nation: Russia. Agency: MOM. Program: Molniya. Class: Communications. Type: Military communications satellite. Spacecraft Bus: KAUR-2. Spacecraft: Molniya-1T. Decay Date: 2008-04-04 . USAF Sat Cat: 22068 . COSPAR: 1992-050A. Apogee: 39,294 km (24,416 mi). Perigee: 1,060 km (650 mi). Inclination: 63.00 deg. Period: 717.80 min. Operation of the long-range telephone and telegraph radio communications system, transmission of television programmes to stations in the Orbita network. .
1993 January 13 - . 01:49 GMT - . Launch Site: Plesetsk. Launch Complex: Plesetsk LC43/3. LV Family: R-7. Launch Vehicle: Molniya 8K78M. Molniya 1-85 - . Payload: Molniya-1T. Mass: 1,600 kg (3,500 lb). Nation: Russia. Agency: MOM. Program: Molniya. Class: Communications. Type: Military communications satellite. Spacecraft Bus: KAUR-2. Spacecraft: Molniya-1T. Decay Date: 2005-11-15 . USAF Sat Cat: 22309 . COSPAR: 1993-002A. Apogee: 39,822 km (24,744 mi). Perigee: 528 km (328 mi). Inclination: 63.40 deg. Period: 717.70 min. Operation of the long-range telephone and telegraph radio communications system, transmission of television programmes to stations in the Orbita network. Replaced Molniya 1-78..
1993 May 26 - . 03:23 GMT - . Launch Site: Plesetsk. Launch Complex: Plesetsk LC43/4. LV Family: R-7. Launch Vehicle: Molniya 8K78M. Molniya 1-86 - . Payload: Molniya-1T s/n 81. Mass: 1,600 kg (3,500 lb). Nation: Russia. Agency: MOM. Program: Molniya. Class: Communications. Type: Military communications satellite. Spacecraft Bus: KAUR-2. Spacecraft: Molniya-1T. USAF Sat Cat: 22671 . COSPAR: 1993-035A. Apogee: 38,681 km (24,035 mi). Perigee: 1,676 km (1,041 mi). Inclination: 64.10 deg. Period: 717.80 min. Operation of the long-range telephone and telegraph radio communications system, transmission of television programmes to stations in the Orbita network. Replaced Molniya 1-81..
1993 December 22 - . 20:37 GMT - . Launch Site: Plesetsk. Launch Complex: Plesetsk LC43/3. LV Family: R-7. Launch Vehicle: Molniya 8K78M. Molniya 1-87 - . Payload: Molniya-1T. Mass: 1,600 kg (3,500 lb). Nation: Russia. Agency: MOM. Program: Molniya. Class: Communications. Type: Military communications satellite. Spacecraft Bus: KAUR-2. Spacecraft: Molniya-1T. USAF Sat Cat: 22949 . COSPAR: 1993-079A. Apogee: 38,716 km (24,056 mi). Perigee: 1,668 km (1,036 mi). Inclination: 64.50 deg. Period: 718.40 min. Operation of the long range telephone and telegraph radio-communications system. Replaced Molniya 1-77..
1994 December 14 - . 14:21 GMT - . Launch Site: Plesetsk. Launch Complex: Plesetsk LC43/4. LV Family: R-7. Launch Vehicle: Molniya 8K78M. Molniya-1-88 - . Mass: 1,600 kg (3,500 lb). Nation: Russia. Agency: MOM. Program: Molniya. Class: Communications. Type: Military communications satellite. Spacecraft Bus: KAUR-2. Spacecraft: Molniya-1T. USAF Sat Cat: 23420 . COSPAR: 1994-081A. Apogee: 38,562 km (23,961 mi). Perigee: 1,795 km (1,115 mi). Inclination: 64.10 deg. Period: 717.80 min. Molniya 188, relieved Molniya 1-82 of its duties. 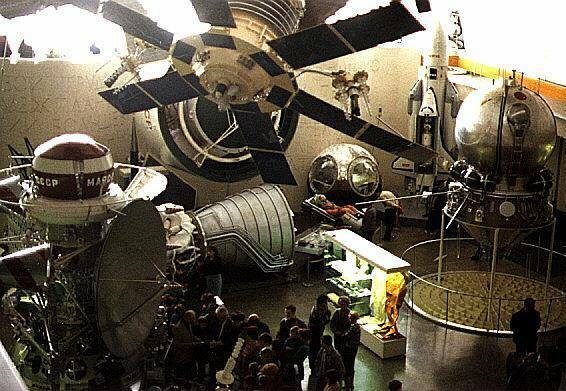 At the end of 1994, operational Molniya satellites were 1-79, 1-80, and 1-83 through 1-88..
1996 August 14 - . 22:20 GMT - . Launch Site: Plesetsk. Launch Complex: Plesetsk LC43/3. LV Family: R-7. Launch Vehicle: Molniya 8K78M. Molniya-1T - . Mass: 1,600 kg (3,500 lb). Nation: Russia. Agency: MOM. Program: Molniya. Class: Communications. Type: Military communications satellite. Spacecraft Bus: KAUR-2. Spacecraft: Molniya-1T. Decay Date: 2012-04-07 . USAF Sat Cat: 24273 . COSPAR: 1996-045A. Apogee: 39,391 km (24,476 mi). Perigee: 968 km (601 mi). Inclination: 64.10 deg. Period: 717.90 min. 1997 September 24 - . 21:30 GMT - . Launch Site: Plesetsk. Launch Complex: Plesetsk LC43/4. LV Family: R-7. Launch Vehicle: Molniya 8K78M. Molniya-1T - . Mass: 1,600 kg (3,500 lb). Nation: Russia. Agency: MO. Manufacturer: Reshetnev bureau. Program: Molniya. Class: Communications. Type: Military communications satellite. Spacecraft Bus: KAUR-2. Spacecraft: Molniya-1T. USAF Sat Cat: 24960 . COSPAR: 1997-054A. Apogee: 39,575 km (24,590 mi). Perigee: 782 km (485 mi). Inclination: 63.90 deg. Period: 717.80 min. 1998 September 28 - . 23:41 GMT - . Launch Site: Plesetsk. Launch Complex: Plesetsk LC43/3. LV Family: R-7. Launch Vehicle: Molniya 8K78M. Molniya-1T - . Payload: Molniya-1T. Mass: 1,656 kg (3,650 lb). Nation: Russia. Agency: MOM. Manufacturer: Reshetnev bureau. Program: Molniya. Class: Communications. Type: Military communications satellite. Spacecraft Bus: KAUR-2. Spacecraft: Molniya-1T. USAF Sat Cat: 25485 . COSPAR: 1998-054A. Apogee: 38,755 km (24,081 mi). Perigee: 1,599 km (993 mi). Inclination: 63.30 deg. Period: 717.80 min. 2003 April 2 - . 01:53 GMT - . Launch Site: Plesetsk. Launch Complex: Plesetsk LC16/2. LV Family: R-7. Launch Vehicle: Molniya 8K78M. Molniya 1-92 - . Payload: Molniya 1T-26 or 28. Mass: 1,660 kg (3,650 lb). Nation: Russia. Agency: VKS. Manufacturer: Reshetnev bureau. Program: Molniya. Class: Communications. Type: Military communications satellite. Spacecraft Bus: KAUR-2. Spacecraft: Molniya-1T. Decay Date: 2013-05-27 . USAF Sat Cat: 27707 . COSPAR: 2003-011A. Apogee: 39,693 km (24,664 mi). Perigee: 655 km (406 mi). Inclination: 62.90 deg. Period: 717.60 min. 2004 February 18 - . 07:05 GMT - . Launch Site: Plesetsk. Launch Complex: Plesetsk LC16/2. LV Family: R-7. Launch Vehicle: Molniya 8K78M. Molniya-1T - . Mass: 1,900 kg (4,100 lb). Nation: Russia. Agency: VKS. Manufacturer: Lavochkin bureau. Program: Molniya. Class: Communications. Type: Military communications satellite. Spacecraft Bus: KAUR-2. Spacecraft: Molniya-1T. Decay Date: 2016-04-16 . USAF Sat Cat: 28163 . COSPAR: 2004-005A. Apogee: 39,708 km (24,673 mi). Perigee: 650 km (400 mi). Inclination: 62.90 deg. Period: 717.90 min. Launched during a nationwide military exercise. Original name Cosmos 2405..